I really wanted to knit Jaiden an Easter vest, but didn’t know how ambitious I was to complete it on time. Turns out I found a pattern that went fairly quickly and luckily I just cast off over the weekend. It’s blocked and now I just have to sew on the buttons. I’m hoping to get some Easter morning pictures, so Ill share them next week. 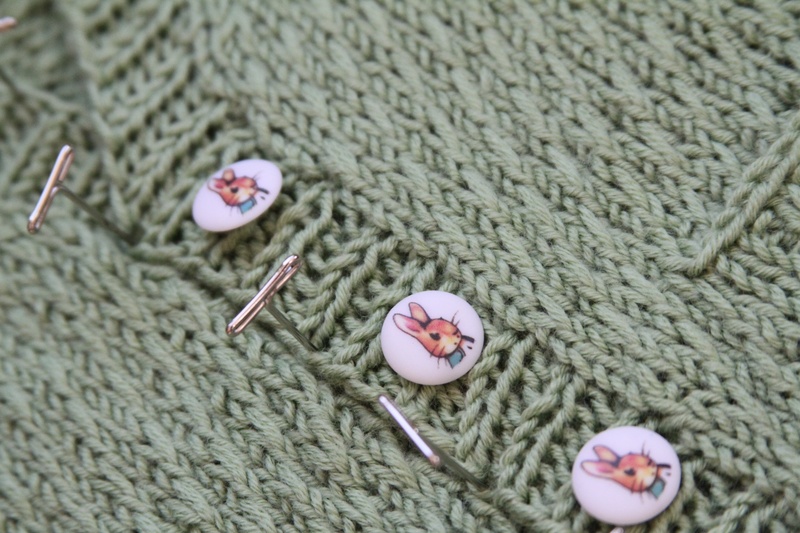 What a spiffy and unique stitch pattern, Carole! 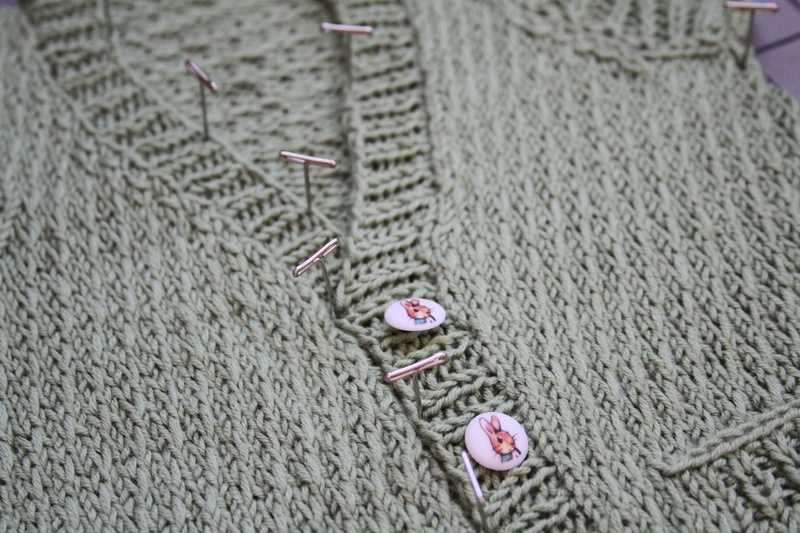 Gorgeous buttons. Do you have a link to the pattern you used. It looks great.